When I bought my first generation Kindle in May of 2008, I paid $400 for it. I bought myself a beautiful hand-made leather cover by Oberon Design that was one of the higher end covers available at the time. I bought a similar Oberon cover for my Kindle Keyboard. 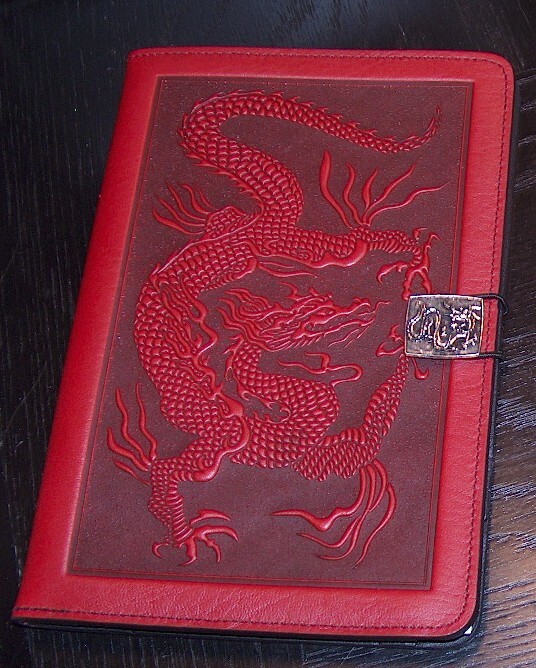 Over the years, I have found some fascinating one of a kind boutique covers for the Kindles I’ve owned. While there are a lot of expensive covers out there, there is also a nice selection of covers available for under $20. There are such a variety to choose from in style, design and color. These also make great gifts to go with that new Kindle. Note: Prices can fluctuate, but all of these prices were below $20.00 except where noted when this was written. Nupro Kindle Cover Simple and lightweight. Fintie Kindle Paperwhite SmartShell Case Clamshell with sleep/wake feature. Also comes in slip-in and folio styles and color choices. OMOTON Amazon Kindle Paperwhite Case Cover Lightweight with a sleep/wake feature. Great color choices. Moko Amazon Kindle Paperwhite Case I have this case myself. It is the one currently pictured in the header here on the blog. It is very slim, snug fitting cover. Plastic clamshell with vinyl design and sleep/wake feature. MoKo Cover Case for Kindle Paperwhite My husband and I both have this case for our Paperwhites. There’s a nice flap for paper storage that I use a lot when at the doctor’s office and it has the sleep/wake feature . Sleeves are a great multi-purpose solution. Most can be used for various brands of e-readers and tablets. Durability ranges from soft material to heavy padding, so you can choose a custom design and still find just the right level of protection for your needs. There are also large selections of new sleeves on sites like etsy.com and eBay.com. Bear Motion for Kindle – Premium Felt Sleeve Case for Kindle Paperwhite and Kindle Voyage This one is super lightweight. PUNCHCASE By Leslie Hsu Ace Zip Around Cover This is a fun cover and has several more expensive design choices as well. The Macbeth Collection Reversible Medium Sleeve for e-Books (MB-MD2OP) These are reversible and only $8.99! BUILT Neoprene Sleeve for 8-inch e-reader or Tablet, Black These are very substantial. I have a variety of them: some have zippers, some have Velcro closures. They also fit so many devices that they are a must have item Built also makes a nicely styled Neoprene Envelope. And, if you are a DIYer, there are even books and patterns to sew or crochet ereader covers. For some people, skins are an acquired taste or depend on the device itself. I have a rugged case for my Samsung Galaxy Note 8 tablet that I love, especially because you can’t use magnetic covers on the Note devices. However, I put a skin on one of my basic Kindles and hated it. But, I ‘ve noticed that the people who like skins, REALLY like them. Marware SportGrip Silicone Skin for Kindle Paperwhite This is pre-made silicon skin that adds protection and color to your device. Decal Girl Skin Kits This kit has a thin silicon skin in pieces that you place on the Kindle. There is a wide variety of designs available. You can also get skins for everything from your Wii controler to your Nook. This is great for the DIYer. And finally, here is a final cover for only $1 more: Just $21.00. BUILT Kindle Slim Folio Cover for Kindle and Kindle Paperwhite, Urban Camo There have been articles written about having a survival Kindle with all your prepper references pre-loaded onto it. If this one isn’t perfect for that, I don’t know what is. I may give in and buy this one before the end of the day myself, LOL! This entry was posted in Accessories and tagged crochet, Kindle covers, Oberon Design, skins, sleeves. Bookmark the permalink.